The Texecom Connect SmartCom requires Premier Elite control panels to run Version 4 firmware or above. Any legacy Premier Elite control panel can be flash upgraded to the latest firmware. Texecom have recently updated and upgraded our Texecom Connect cloud to improve performance and to support future services. Texecom have released a Connect firmware upgrade (V01.01.03) we recommend to installers to update all Texecom Connect SmartCom’s to this latest firmware. 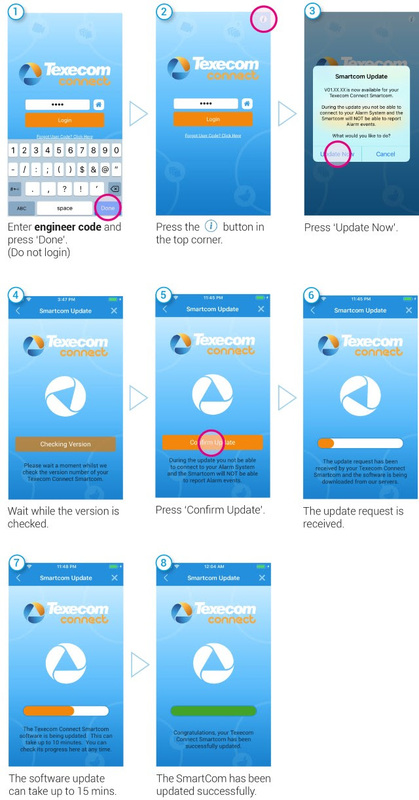 To upgrade a Texecom Connect SmartCom, simply login to the site via the Texecom Connect App using the control panel engineer’s code, and follow the instructions below. 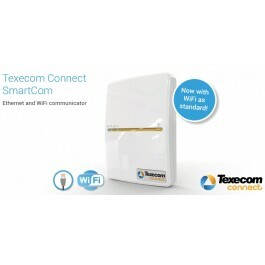 The upgrade process will take 10 to 15 minutes to complete, and during this time the Texecom Connect SmartCom will be offline. Once completed, the Texecom Connect SmartCom will operate normally.